Estimating the right truck size for your move can be a headache. And you are definitely not alone. Even though moving companies in Singapore will advise on the truck size for moving, it would be helpful if we know which type of trucks to use. That is exactly why this article was created, to offer easy and fairly accurate methods to find the right truck size for moving by calculating the space you need for your items. Moving trucks are categorised based on their holding capacity, which is measured as the entire open space of the storage area from floor to roof of the truck or van. A point to note is that you will need to book a truck with a larger open space than the exact space you need. This is to accommodate extra space between items due to imperfect stacking. With the general guidelines above, you can proceed to calculate the space you need in a truck. By referring to the table of general item sizes below, you can get a rough estimate of the space you need. If your items fall out of the tables above, you can check the moving space calculator here. After the calculation, you are now ready to choose the right truck size for your move! Doing the calculation can be tedious, especially when you have masses of stuff that takes up almost every available storage space in your house. Moving is a complicated process that can cause lots of hassle and stress. 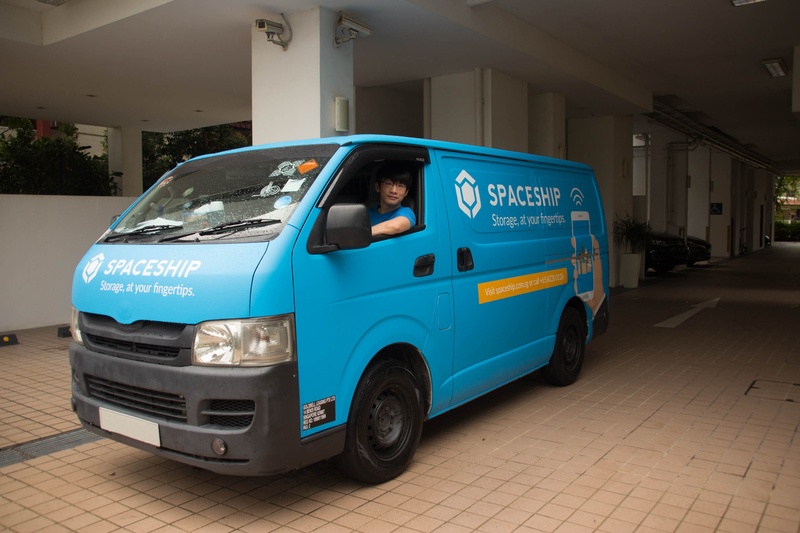 With an experienced professional moving company like Spaceship, you can make the move a lot easier and safer. Here are few tips you definitely do not want to miss about your move.